Marks & Spencer has published an interactive map that reveals for the first time 690 of the British department store’s clothing and home-goods suppliers. The online tool debuted on Thursday as part of the retailer’s annual report—its first under new CEO Stephen Rowe, who took over the reins from Marc Bolland in April. 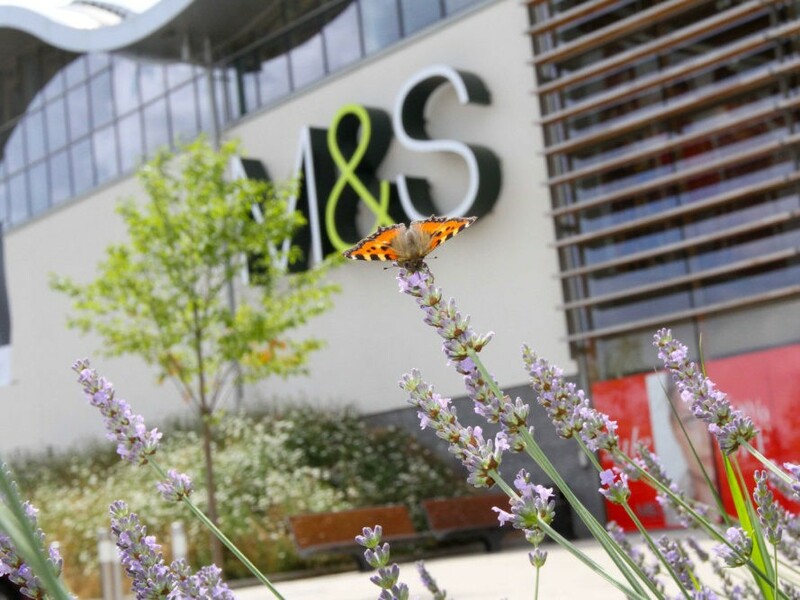 In addition to its 2016 “Plan A” sustainability report—fun fact: about three-quarters of its products now include some kind of eco-friendly or ethical element—Marks & Spencer also issued its inaugural dedicated human-rights report, covering seven salient issues the retailer says it believes it has the greatest influence over: discrimination, freedom of association, living wages, working hours, forced labor, health and safety, and water and sanitation. According to Rowe, the retailer plans to “embed respect for human rights” as part of its business strategy by 2020. The “more to do” Rowe mentions may be related to a recent Labour Behind the Label study that criticized the department store for reneging on its promise to promote “fair living wages” for the people who make its clothes. Six years after Marks & Spencer pledged to, in its own words, “implement a process to ensure our suppliers are able to pay workers a fair living wage,” starting with South Asia by 2015, many of its workers in factories in Sri Lanka, India, and Bangladesh continue to live in “abject poverty,” the workers-rights group said in February. Still, Foxvog would like to see Marks & Spencer extend its reach a little more. Anna McMullen, who helped author the Labour Behind the Label study, echoed Foxvog’s sentiments. Transparency, McMullen told us, isn’t about the quantity of information a brand or retailer provides so much as the quality. In light of all this, Rowe’s remarks in Marks & Spencer’s report seem almost prescient. “We are still learning on this complex topic and I’m sure we will learn more from the feedback on this report,” he wrote. 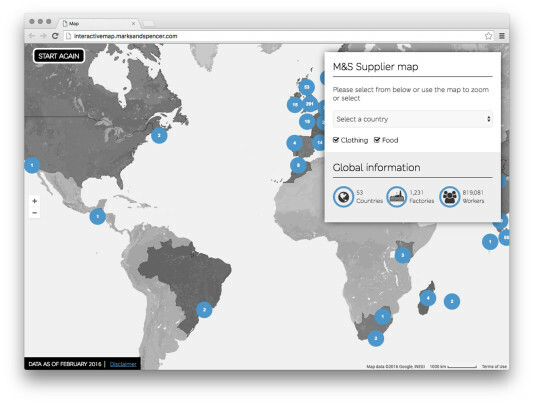 Marks & Spencer has published an interactive map that reveals for the first time 690 of the British department store's clothing and home-goods suppliers. The online tool debuted on Thursday as part of the retailer's annual report�its first under new CEO Stephen Rowe, who took over the reins from Marc Bolland in April. In addition to its 2016 "Plan A" sustainability report�fun fact: about three-quarters of its products now include some kind of eco-friendly or ethical element�Marks & Spencer also issued its inaugural dedicated human-rights report, covering seven salient issues the retailer says it believes it has the greatest influence over: discrimination, freedom of association, living wages, working hours, forced labor, health and safety, and water and sanitation.